Taliban insurgents attacked the motorcade of Afghanistan's First Vice President Abdul Rashid Dostum on Saturday, killing his bodyguard, AzVision.az reports referring to TOLOnews. 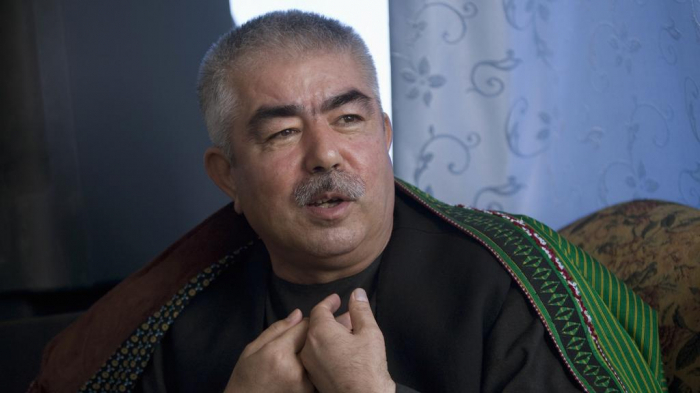 Dostum was not hurt, according to his close aide, Kanishka Turkistani, who spoke to TOLOnews. Sources told the news channel two other bodyguards were injured. The senior Afghan official was travelling from the northwestern province of Balkh to Jowzjan bordering Turkmenistan. His motorcade has been attacked several times before. During his appearance in Balkh, he reportedly vowed to "eliminate" the Taliban movement within half a year if given the chance. The day before, Taliban militants reportedly captured the Arghanj Khwa district of the Badakhshan Province in northwestern Afghanistan. As a result of the clashes between the militants and Afghan servicemen, at least 14 were killed, and over 10 others were injured. The Taliban also seized a number of weapons and equipment after the retreat of the Afghan forces. Recently the United States and Taliban officials met in Doha and agreed to a preliminary framework that calls for the United States to withdraw troops in exchange for counterterrorism assurances from the insurgents. Reacting to the talks, Afghan president's national security adviser Hamdullah Mohib lashed at Washington, accusing them of "delegitimising the Afghan government", while granting legitimacy to the Taliban and holding negotiations with them on issues officially regulated by Kabul.